Safe: Adopting an 12V AC adapter (with switch). The lights work under low voltage.It\'s pretty safe to use. Energy saving:The total luminous flux of the whole set equals to 60W incandescent bulb, which helps to save electric power. 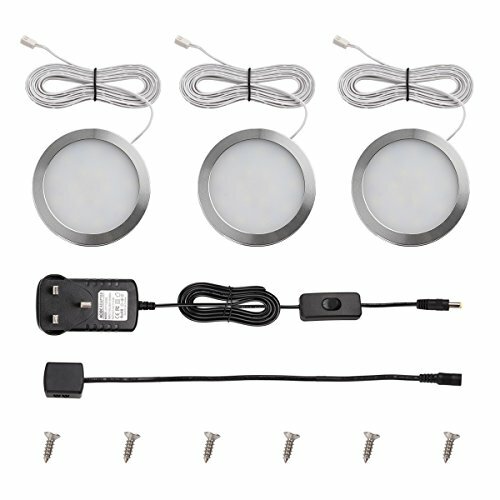 Wide application: You can add these delicate puck lights to anywhere as desired.For example, the cabinet, closet, shelf, or corridor.